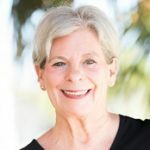 Caroll Michels is an art marketing consultant, career coach and artist-advocate. She works with artists throughout the United States, Canada, Europe, Japan, and South and Central America. 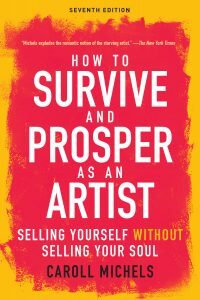 She is the author of the classic handbook How to Survive & Prosper as an Artist. Selling Yourself without Selling Your Soul. The 7th revised edition will be published in February 2018 (New York: Allworth Press). Michels was featured in 12 Secrets of Highly Successful Women: A Portable Life Coach for Creative Women by Gail McMeekin (Conari Press). She was on the faculty of The New School in New York City and the Ringling College of Art + Design in Sarasota, Florida. She served as chairperson of the Fine Arts Advisory Board of the Fashion Institute of Technology in New York City. She conducts career management workshops throughout the U.S.A. and in Canada. Articles about her work as a career-coach and artist-advocate have been appeared in The Wall Street Journal, The New York Times, The Huffington Post, Forbes, Jezebel, U.S. News and World Report, The Christian Science Monitor, The Dallas Morning News, The Minneapolis Star Tribune, The Dallas Morning News, Newsday, The Miami Herald, The Los Angeles Times, and The Boston Globe. During an interview with Oprah Winfrey, author Daniel Pink observed that in the 21st century the MFA degree is becoming more relevant than an MBA degree. He pointed that artists can’t be outsourced, but the jobs and responsibilities of those who hold an MBA certainly can. He also mentioned that many of his readers purchased the book for their parents! Artists make the mistake of narrowing the selection criteria to only include galleries that represent artists who are doing similar artwork. This can very well lead to a negative response from a gallery with the familiar line “we have someone doing that already!” Select galleries that represent artists whose work you admire. Some artists who have achieved success in the art world want to believe that once you are on top you are entitled to stay on top as if to expect a cosmic IOU slip that is valid for the rest of your life. However, career recognition and success are ongoing maintenance jobs, sometimes for the rest of artists ‘working lives. Very few artists are given the good fortune of being able to coast.